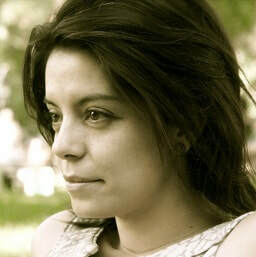 is a Colombian documentary filmmaker with studies in journalism and visual arts. He studied film at Columbia University and completed his MFA in Film and Media Arts at Temple University in the US. His video work has been broadcast in national television and exhibited in film festivals in Havana, Cuba (1996 and 2000); Rosario, Argentina (2000); FIPATEL, Biarritz, Francia (2000); Bogota, Colombia (2003); Mexican Human Rights Film Festival (2003); Nextframe, US (2009); Cartagena (Colombia); Mexico and the US and in dance film festivals in US and Spain (2010 a 2013). In 2004 he received the Simon Bolivar National Journalist Prize for his documentary The Enchanted Kingdom . His documentary Ciudad a tres bandas is part of the Colombian Documentary Showcase (La Maleta). He served in several positions developing audiences for film in his country such us programing director in the art cinema house Colombo Americano (2004-2006); and a funder and director of Sin Fronteras Film Festival (2007-2008). Since 2011 he has been working on research, development and production of Mi Casa My Home triology. More about Oscar Molina's work on Vimeo. (Colombia/Germany).Producer, cultural manager and choreographer. MA in philosophy from Hamburg University. Her artistic work emerges at the intersections between choreography and other arts, focusing on the physical and social spaces of particular territories as motivation and conceptual path for her research. She is director of the Espacio Arte Foundation, a non profit organization based in Medellín/Colombia. Its approach relies on boosting dynamics of social transformation through multidisciplinary artistic projects, intertwining their work in a local and international context. The Espacio Arte Foundation performs as a collaboration platform and site for professional projection for the arts in Colombia. Film editor for documentaries and fictional movies such as “Todo Comenzó por el fin” (2016, dir: Luis Ospina, Macondo-Award winner for the best montage), “Pizarro” (2016, dir: Simón Hernández, India Catalina-Award winner for the best documentary for TV), “Somos Calentura” and “Tura” (2017 & 2018, dir: Jorge Navas), Amazona (2017, dir: Clare Weiskopf), Mateo (2014, dir: María Gamboa), “Tierra en la lengua” and “Señorita María Luisa, la falda de la montaña” (2014 & 2017, dir: Rubén Mendoza) “Tierra en la lengua was award-winner for the best movie at Cartagena’s International Film Festival – FICCI - 2014. He also has worked as editor for several shorts: “Madre” (2016, dir: Simón mesa, official selection for Cannes 2016), “Se venden conejos” (2015, dir: Esteban Giraldo, award-winner for the best short movie at Cartagena’s International Film Festival – FICCI – 2015) and “Elefante” (2015, dir: Cesar Herediia, award-winner for the best Colombian short at the Berlinale). He studied anthropology at the Andes University, Bogotá and edition at the La Femis, Paris. He also performs as a lecturer at diverse national and international universities. Aggie Ebrahimi - Coproducer (Mama Icha's House). (US/Iran) Award-winning, Iranian-American documentary filmmaker and educator who is well-versed in questions of immigration and diaspora. Aggie holds a Master’s degree in Multicultural Literature and Women’s Studies from the University of Georgia and an M.F.A. degree from Temple University. Her most recent film, Inheritance (2012), blends poetic and observational documentary forms to investigate diasporic identity formation and gender politics in the shadow of the Iranian Islamic Revolution. In 2013, Inheritance received the Loni Ding Award for Social Issue Documentary at CAAMFest. Aggie is currently an Assistant Professor of Film Production at Muhlenberg College. (US). is a sound design, audio post-production, and film scoring studio. We see sound as a fundamental and infinitely expressive medium for cinematic language. Catalina Ortiz - Academic Advisor (Absentee's House). (UK/Colombia) is an architect and urbanist. She is interested in the negotiated co-production of space in the Global South. She holds a PhD in Urban Planning and Policy from the University of Illinois at Chicago, as Fulbright scholar, and also a Master’s in Urban and Regional Studies from the National University of Colombia. Dr. Ortiz is a lecturer and co-director of the MSc in Building and Urban Design in Development in The Bartlett Development Planning Unit, University College London. is a research, teaching and extension center of the National Univesity of Colombia. Its academic focus is the critical studies of concepts associated with dwelling. It is a recognized multidisciplinary group recognized by Colciencia, the National Department of Science, Technology and Innovation. This School inquieres the issue of dwelling from the perspectives of cultural studies, socio-historical, technosocial, population, communications, heritage and environment approaches.